We have prepared a list of the 20 most beautiful best restaurant WordPress themes. It is very important for your restaurant to feature a restaurant website using food ordering WordPress theme with an online food ordering system. 85% of customers look for restaurants online. (source) Without a website build with grand restaurant WordPress theme, you will not make it possible for them to find you. Developing a restaurant website doesn’t have to be time-consuming. 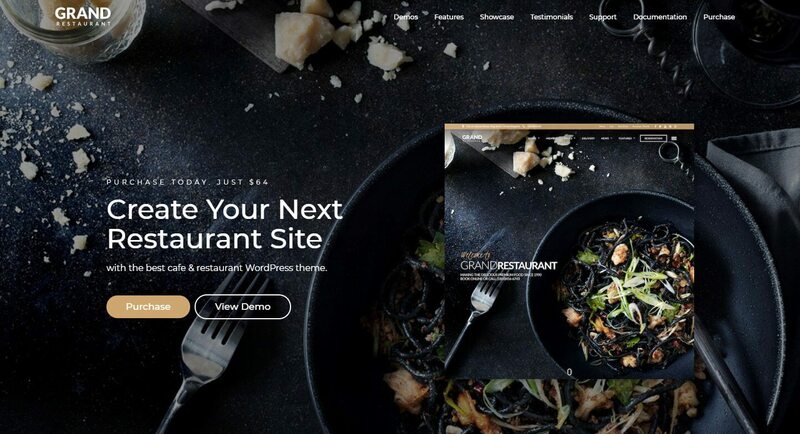 Use our list of the 20 best restaurant WordPress themes to develop the website of your dreams and our custom menu WordPress plugin to launch the UpMenu system and start making money online. 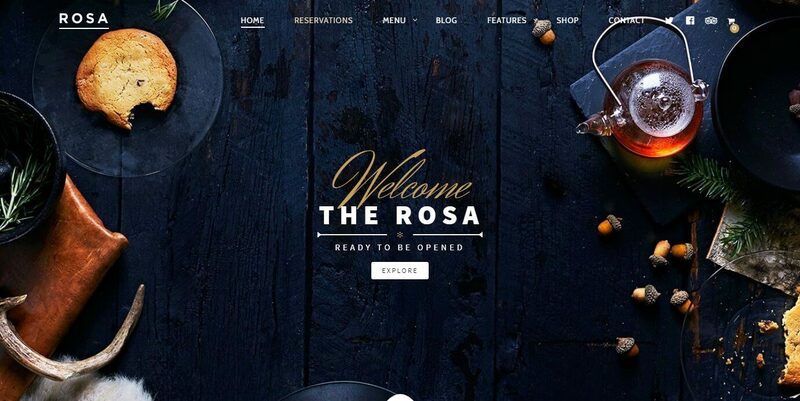 The Rosa food ordering WordPress theme has been the best selling restaurant WordPress theme to date. This elegant and very warm theme will remind your customers of the best family gatherings. It is fully responsive for mobile devices and easy to navigate – it will certainly help you make more money online! Spectacular 3D effects when scrolling and great photo displays which will astonish your customers. Osteria will help you build the restaurant website of your dreams that will be self-sustaining. Use its potential and create the website of your dreams. Use Osteria online food ordering WordPress theme. UpMenu will help you develop a restaurant website that will support your restaurant marketing activities. 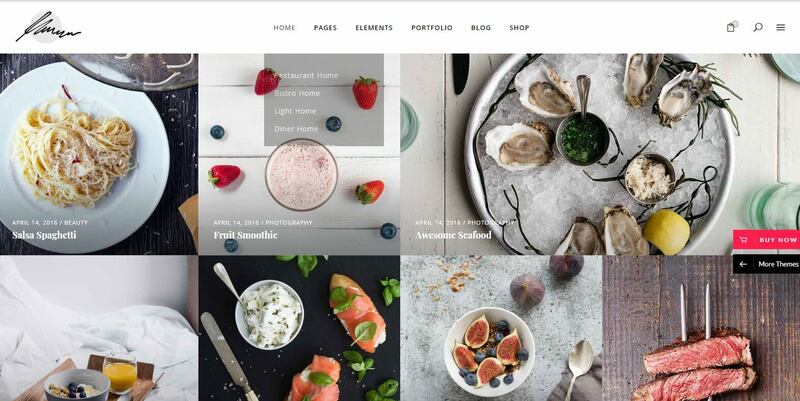 What makes this company’s templates stand out is their user friendly and minimalist design. Each template is fully integrated with the UpMenu online food ordering system which enables you to manage content on the website directly from the system’s administrative panel. 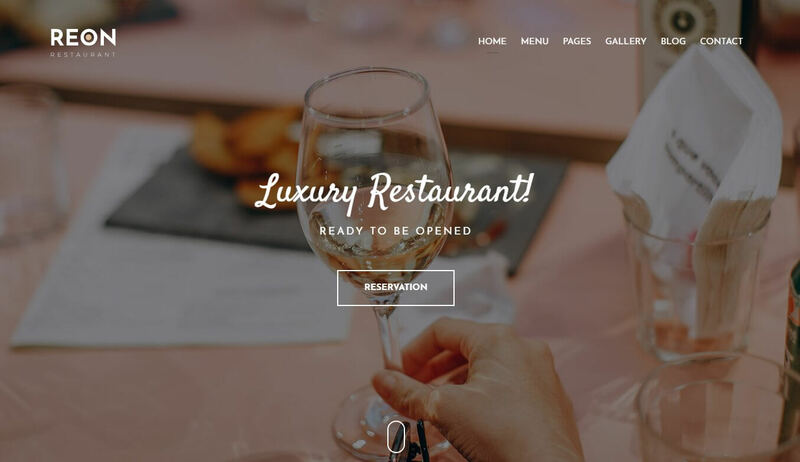 The Grand Restaurant WordPress theme enables you to use more than ten ready demos dedicated to different types of restaurants to help you launch your restaurant website very quickly. It also provides different options of layouts for particular subpages. Restaurant online food ordering WordPress themes make it possible to freely modify the website appearance to your restaurant’s brand. 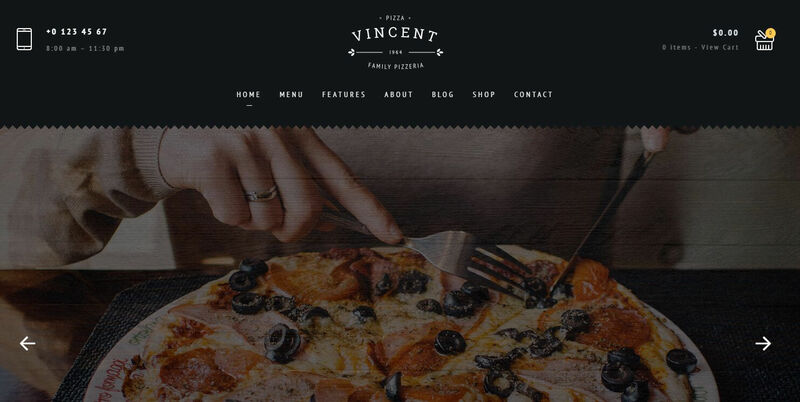 And the Vincent restaurant food ordering WordPress theme enables you to choose the homepage layout from over ten possibilities. This way, you can emphasise those elements that are key to you. Use the online food ordering WordPress theme. 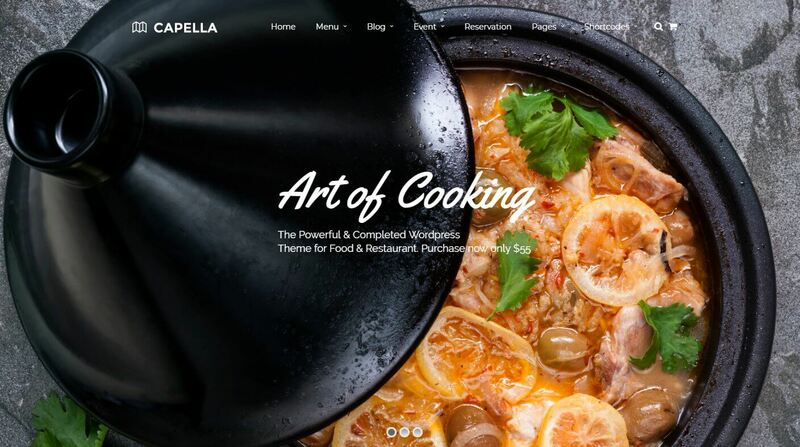 The Capella grand restaurant WordPress theme has been around for 7 years. During that time, it has been used by 110 thousand restaurants. A clear design and intuitive navigation will make your website user friendly. Benefit from the above to generate more online orders in a simple way. Thanks to 6 simple and easy to adjust demos, you can quickly launch a restaurant website for any type of cuisine. You can save time and your website will always look good. Build a restaurant website using the WordPress theme food ordering. 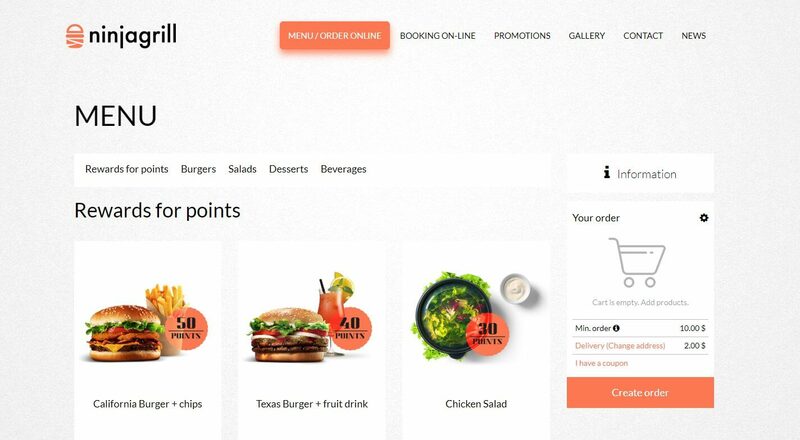 Integrate the WordPress theme online ordering with the UpMenu system and earn money online. The L’ambiance restaurant online food ordering WordPress theme is a fully responsive website for mobile devices. With this theme, you can also choose from ready-made demos that will help you launch a website more quickly. The unusual page layout will astonish your customers and show the uniqueness of your restaurant. 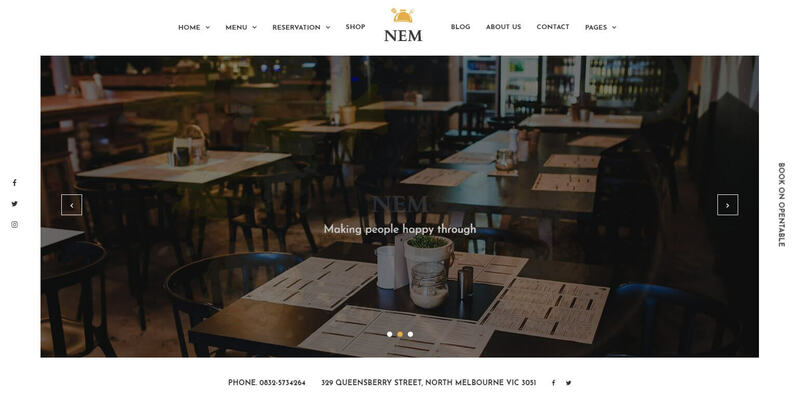 Whether you have a large restaurant or a small bistro, the Nem restaurant food ordering WordPress theme will help you build your brand online. Add some great photos of your meals that can be perfectly presented in this template and start making money on the internet! 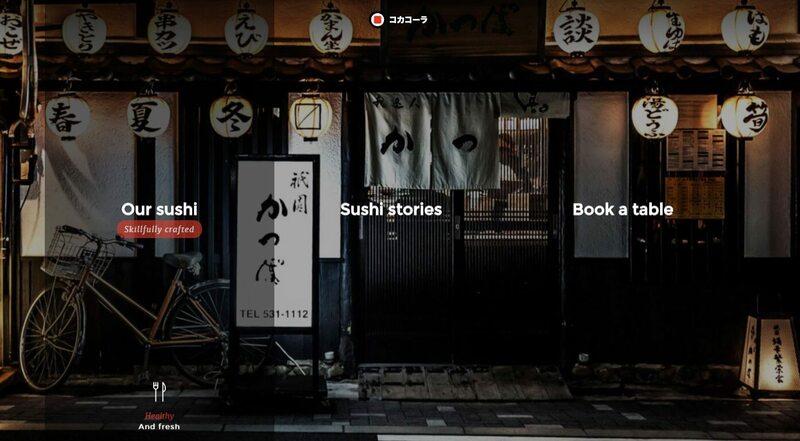 Use the sushi best restaurant WordPress theme, developed with Japanese cuisine in mind. It enables you to present photos of meals in a great way and is very intuitive for customers. Combine the above features of food ordering WordPress theme with the UpMenu online food ordering system and sell sushi online! 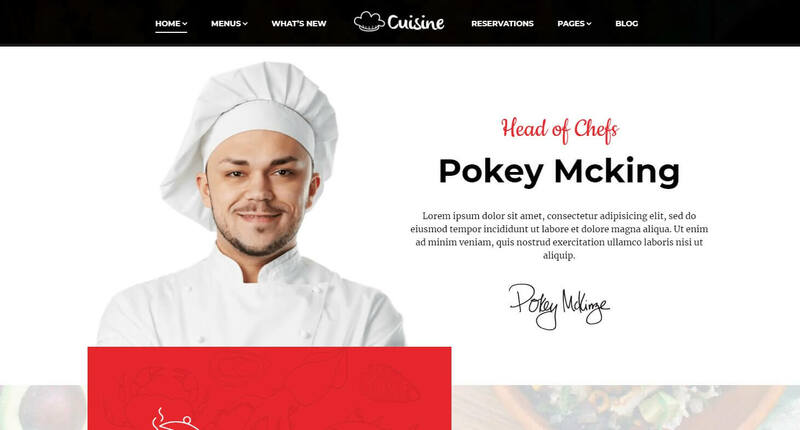 Thanks to two restaurant website online food ordering WordPress theme designs in one theme, you can adjust the appearance of your homepage to your brand even better. Use Kudil to underline the elegance of your restaurant and its creative atmosphere. The online food ordering WordPress theme is fully responsive for mobile devices and enables free configuration. Would you like to underline the Italian character of your elegant restaurant? 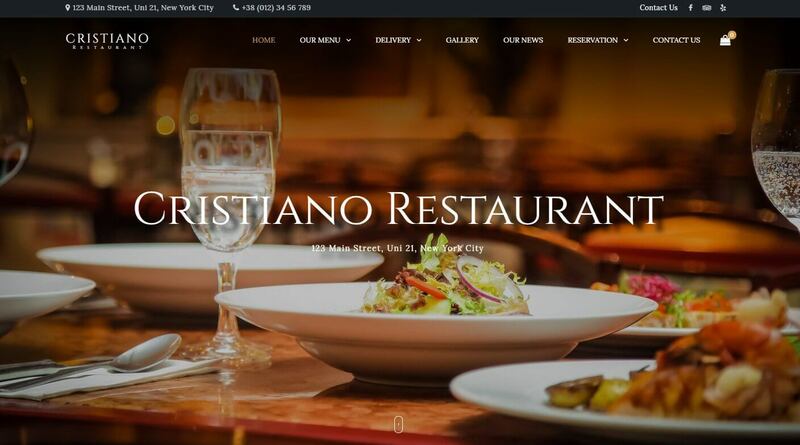 Try out the Cristiano best restaurant WordPress theme to present your dishes. Take your customers on a journey to the capital of pasta, seafood, and pizza. The Savory restaurant online food ordering WordPress theme offers as many as 12 different homepage designs for your restaurant website. Regardless of the type of cuisine you offer, Savory will help you present the atmosphere of your restaurant. Choose the design that will match your needs best and build a firm brand online. 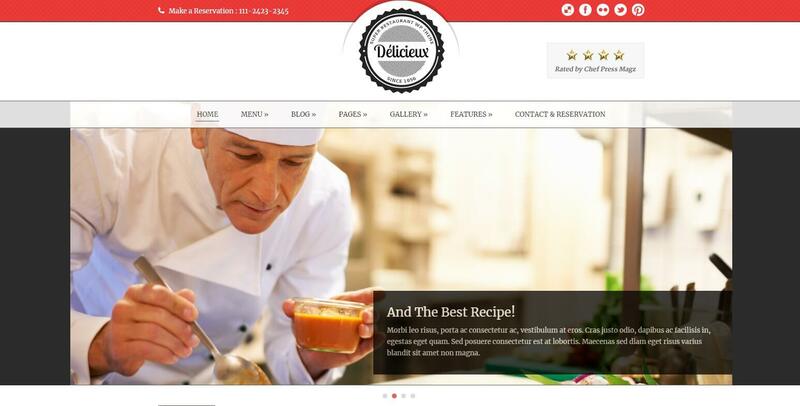 The homepage of the Delicieux restaurant online food ordering WordPress theme makes it possible to display all the key information regarding your restaurant. Simple and transparent navigation will be ideal for restaurants that accept online orders or offer a loyalty programme. The theme provides huge possibilities for content publishing. 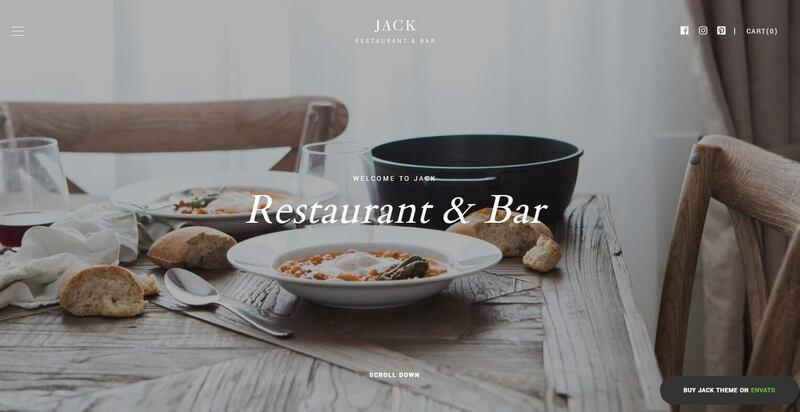 The Jack restaurant online food ordering WordPress theme is a minimalist template that enables you to display the best elements of your restaurant. Show everyone exactly what it looks like and the delicious meals you serve. 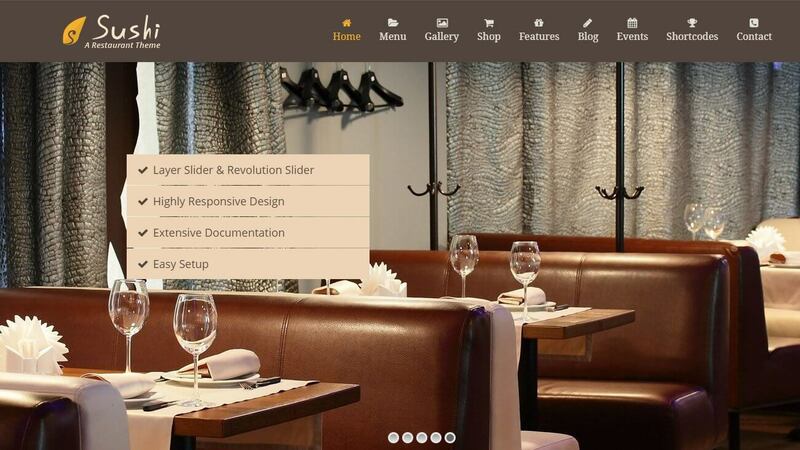 The theme is fully responsive and presents photos of the restaurant in an interesting way. Are you wondering how to present all the elements that create your restaurant on a website? 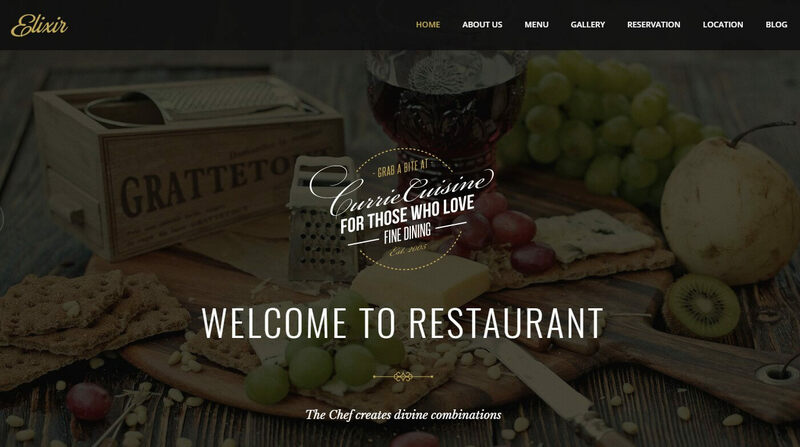 Build your website thanks to Cuisine, one of the best restaurant WordPress themes. In this theme, you will find interesting ideas on how to use photos of your employees and dishes to present your brand to customers in a better way. The best restaurant WordPress themes must literally show how your dishes taste. See how Danny’s theme does just that. Add delicious photos of the dishes that you will serve to your customers and they will be more than happy to try them. 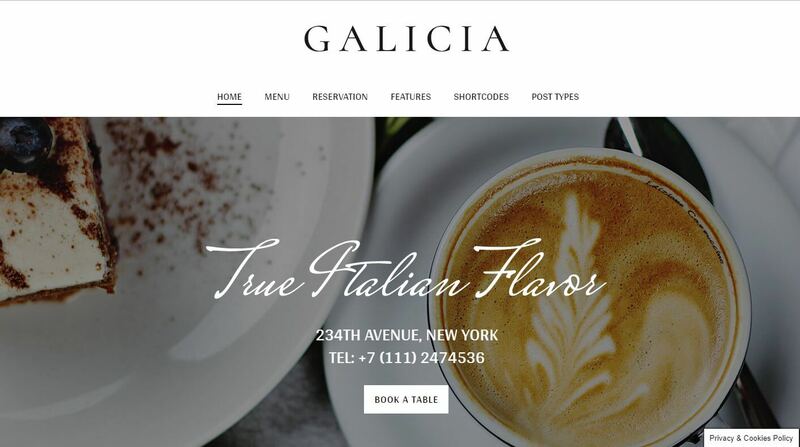 The Galicia WordPress restaurant ordering theme is a simple yet very elegant theme that will help you emphasise the atmosphere of your restaurant. An innovative design that will help you present your restaurant’s best qualities in a user-friendly way. The Galicia restaurant food ordering WordPress theme is fully responsive. When looking for the best restaurant WordPress theme you should focus on making your restaurant look professional online. The Elixir online food ordering WordPress theme, thanks to its minimalistic design and great backgrounds for you to choose from, will show the best features of your restaurant. 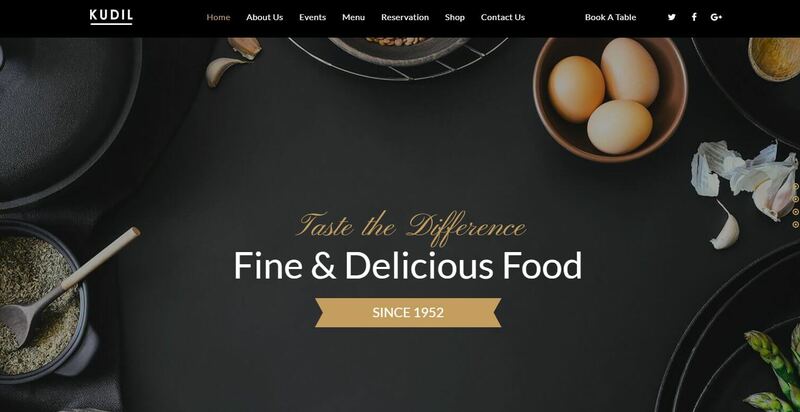 The Tavern restaurant online food ordering WordPress theme, thanks to its multiple demo options, can be easily adjusted to match your restaurant image. Fully responsive and developed specifically with the restaurant market in mind, it will help you to present your restaurant and start online sales in an easy way. Show the best attributes of your restaurant thanks to the Picante restaurant website online food ordering WordPress theme. It is fully responsive on all mobile devices developed for WordPress. Thanks to the live visual builder, you can easily adjust it to your restaurant. Use your photos and build a restaurant brand online. The best restaurant WordPress themes must be functional. Keep in mind that in order for your restaurant website to generate profits from online orders, it has to be easy to navigate and user friendly. Each of the best restaurant WordPress themes that we have presented can be easily integrated with the UpMenu online food ordering system. Create the website of your dreams using online food ordering WordPress theme and start making money with it today! Learn more about creating restaurant website: Professional restaurant website for your business.